Best suited to minivans the Backpack 4x4 is quickly installed onto the rear spare tyre by means of sturdy straps, though it will be necessary to remove the cover of the spare tyre. 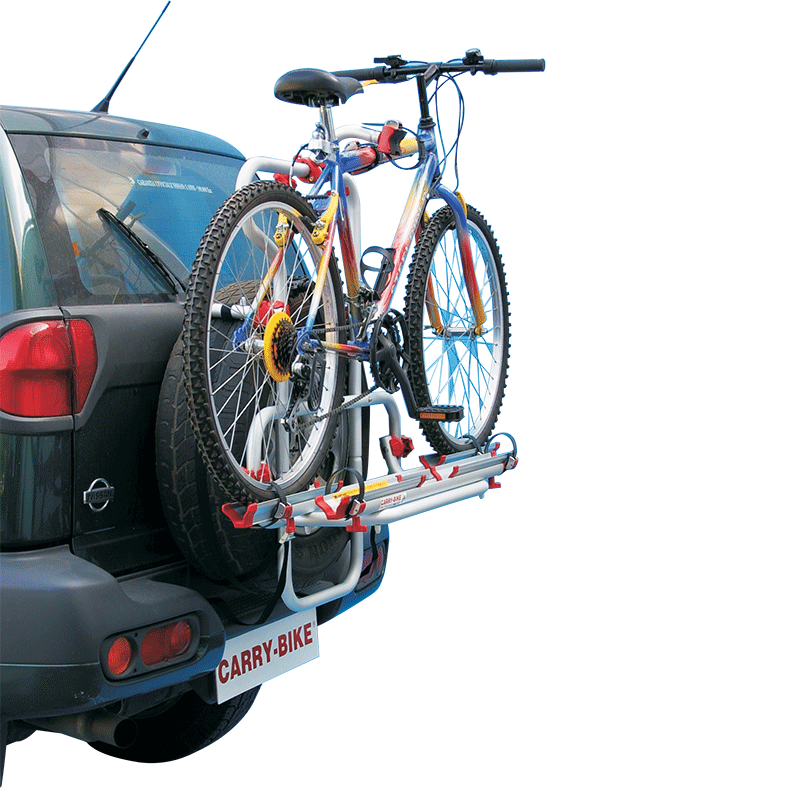 Has a folding rail support & the capacity to hold two bicycles. When installing, be sure not to cover the license plate or lights.